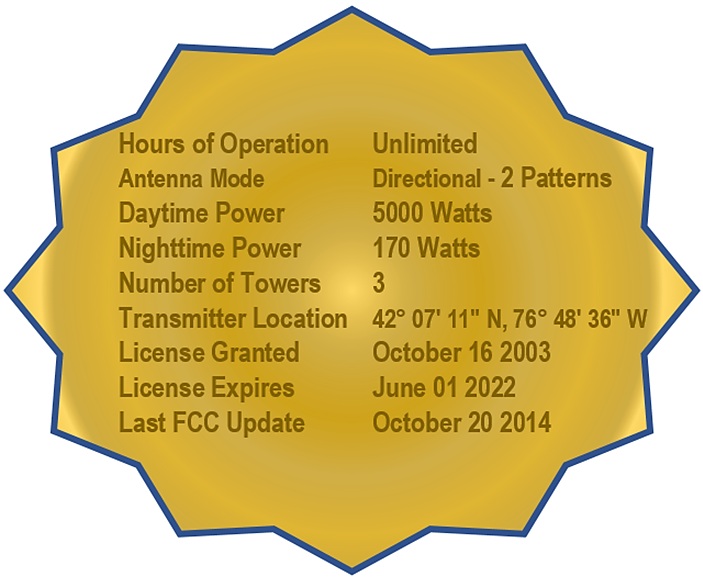 Welcome to Tower Broadcasting LLC., located in Elmira NY. We are the home to a wide variety of radio stations located throughout the Finger Lakes Region of New York. Whether you listen to rock, country, sports or any other format,we have the station for you. We are also here to help you with your advertising needs, our account representatives are progressive and innovative when it comes to getting your name, product or services out there. Browse our site and turn your radio dial to one of our stations listed below. Want to have the population center of the Twin Tiers hear your advertising message? Then call us and request a visit with one of our marketing representatives to see how we can best serve your needs.